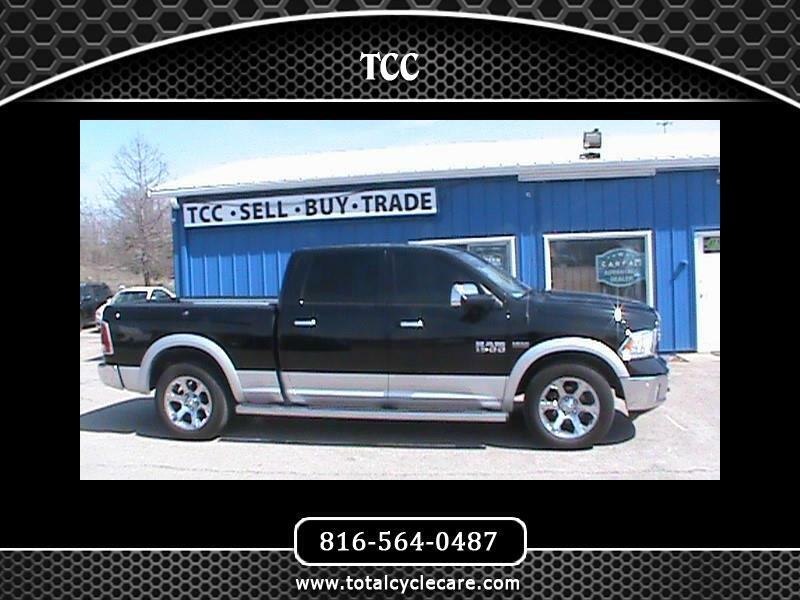 LOOK AT THIS LOAED UP LARAMIE RAM 4X4 WITH HEATED/AC LEATHER SEATS, SUNROOF, POWER BACK GLASS, RAM BOXES, NAV, HEATED STEERING WHEEL AND MANY MORE OPTIONS. RATES AS LOW AS 4.99%, 5YR/100K MILE WARRANTIES AND CARFAXES ARE ALL AVAILABLE. IF YOU HAVE ANY QUESTIONS FEEL FREE TO CALL JARED AND REALIZE HOW EASY BUYING A TRUCK CAN BE WHEN YOU TALK DIRECTLY TO THE OWNER.